Mr. Jameson has been committed to church service since his younger years. In his early years of High School he proudly held the position of Head Server/Sacristan at St Leo the Great Church, where he worked tirelessly to ascertain that all the details to the Liturgy of the Mass were always treated with the utmost care. It was during his tenure at St Leo’s that he began playing liturgical music. 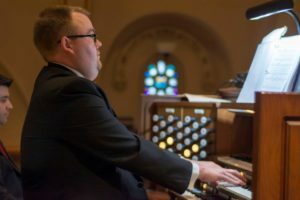 Under the guidance of the parish organist Mr. Jameson began to find a love for pastoral music and before long, served as a substitute organist at the parish on a regular basis. Mr. Jameson has had the opportunity to play the 172-rank, four manual Moller Organ in the Upper Church at the National Basilica of the Immaculate Conception in Washington, D.C. 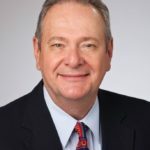 In addition, he has also had the fortune of playing the 126-rank, four manual Casavant Organ at the Cathedral of Saints Peter and Paul in Providence, RI. Throughout his years of service, Mr. Jameson has had the opportunity to play many of the finest organs in Rhode Island and Massachusetts, including dedicating the newly installed organ at the National Shrine of Our Lady of LaSalette in 2012. 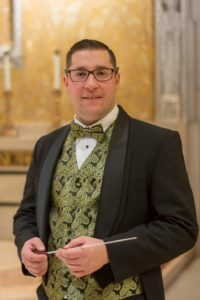 In December of 2013, Mr. Jameson was offered and accepted the position as Director of Sacred Music and Principal Organist at Saint Matthew Church, Cranston, where he currently serves. Under his baton, the Music Ministry of Saint Matthew’s Church has performed an annual concert of Christmas Music and has expanded their presence at weekly liturgies and throughout the community. Marjorie O’Reilly graduated from Anna Maria College in Paxton, MA in 2017 with a Bachelor’s Degree in Music, focusing in Music Therapy and Voice. Marjorie is a classically trained alto, studying under voice coaches at Cape Cod Conservatory and Anna Maria College. Marjorie is an experienced pit conductor, conducting performances of the Wizard of Oz, Into the Woods, Broadway Musical Review: Selections of Rent, Wicked and Chicago. Marjorie served as an instrumentalist and cantor at her home parish on Cape Cod, MA for six years before studying at Anna Maria. Marjorie moved to Rhode Island and joined the St. Matthew’s Music Ministry in 2018 as a section leader and guest vocalist. 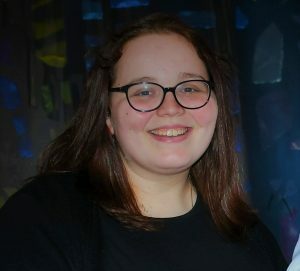 In 2019, Marjorie was named a Cantor and Alto Section Leader. Currently, outside of St. Matthew’s Church, Marjorie works as a Board Certified Music Therapist working in mental health care. Justina H. Mabray is currently enrolled at Rhode Island College majoring in Music. Justina has been involved in music since middle school, taking on many leadership roles. Currently she serves as a section leader and soloist for several Rhode Island College ensembles. 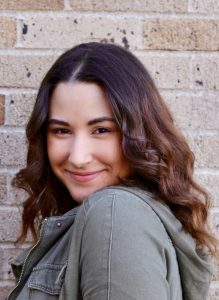 In addition to her academic study and performances, Justina is involved in many community theater programs, serving as an actress, director and choreographer. She is extremely passionate about all forms of the arts and tries to become as involved as she can in every musical opportunity that comes her way. Justina joined the Saint Matthew Music Ministry in 2019, serving as a Cantor and Soprano Section leader. Over his career, Mr. Boucher has played at several parishes in the Southern New England. Most notable were his tenure at Saint Anne Church, Providence as Music Director and Principal Organist and Guest Organist for the Cathedral of Saints Peter and Paul, Providence. During this time he continued to study Organ performance, conducting and composition with several esteemed musicians. Mr. Boucher joined the Saint Matthew Music Ministry in 2015, first as a guest Organist and in 2018 named Associate Organist. Paul Hutchins has had an esteemed career in Music. First as a Musician Second Class for the United States Navy as a French Horn player and then as an educator in the South Country School District. Mr. Hutchins has been a featured soloist, section leader and cantor for many churches throughout the state. Mr. Hutchins is a proud alumnus of the University of Rhode Island ,and is presently a member of the Alumni Wind Ensemble and Principal Horn for the Salve Regina Orchestra. He began as a guest section leader and was named a Cantor for the Saint Matthew Music Ministry in 2015. He is still an active member of the Music Ministry as a concert soloist, Associate Cantor and Funeral Cantor.